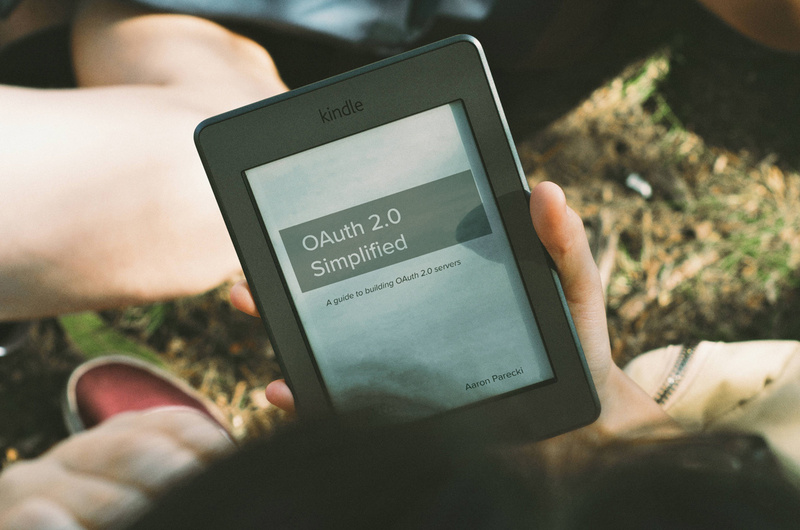 OAuth 2.0 Simplified Is Now Available On Kindle! I know you've been waiting for the Kindle version, and I'm happy to say it's finally available! While the ePub and PDF have been available for a while, it took a bit more work than I initially thought to prepare the Kindle version. This version is formatted specifically for Kindle, so that you can browse the table of contents properly, as well as highlight and share sections of the content. Of course, if the Kindle isn't your thing, you can always get the PDF or ePub versions as well! The print edition is also available on Amazon now! We did a pre-launch at Okta's conference in Las Vegas in August, and it's taken a bit longer to sort out the details of actually listing it for sale. It's available for purchase right now at the website, and will be visible on Amazon.com in 6-8 weeks. Next I'm working out the logistics of publishing an ePub/Kindle version, which it turns out is not just pushing the "ebook" button. This has been a fascinating process to learn about! 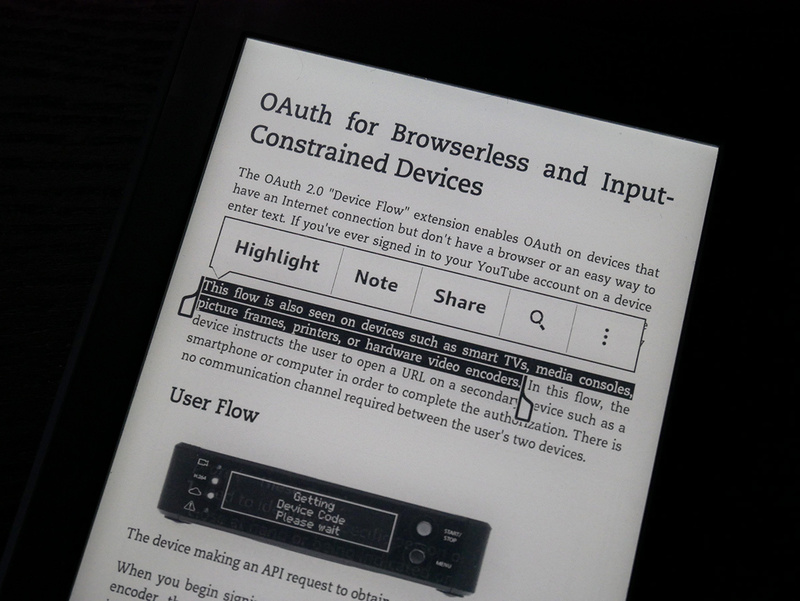 • The Device Flow: https://tools.ietf.org/html/draft-ietf-oauth-device-flow which is what you see on browserless devices like the Apple TV logging in to a cable provider from your phone. A short code is generated and displayed on the screen, you launch a browser on your phone and enter the code. This would work just as well from the command line on the same device. • I've also seen apps use the authorization flow, by displaying the authorization URL on the command line prompt and instructing the user to open it in a browser. The redirect URI is a hosted web page that displays the authorization code and instructs the user to paste it back at the terminal. • The command line app can launch an HTTP server on localhost and use that as the redirect URL for the authorization code flow. This option ends up being the most seamless since it works like a traditional flow without any special instructions to the user. Sorry, I meant I'm being told the URL can't be visible and they are holding up other mobile apps login as examples that do not show it. Before SFSafariView, the only way to securely do OAuth was to launch the native Safari browser. This meant you'd get bounced out of the app, which a lot of developers didn't want to do to their users. I don't disagree that this was a bad experience, and plenty of people feel the same. What ended up happening is people instead started embedding the WebView into their apps, in order to avoid having their users bounce out of the app and come back. The compromise in this case is that people would have to type their password to log in, because the embedded WebView doesn't share cookies with the system browser. It took Apple a long time to roll out SFSafariView, so there are just a lot of apps out there that still have the embedded WebView. I should probably turn this into a proper blog post. @aaronpk I was just reading your article https://goo.gl/IF9r2O which was helpful. Is using SafariViewController the only safe auth on iOS? @rogue__leader Thanks! That, or launching Safari or the service's native application. SafariViewController will provide the best UX. 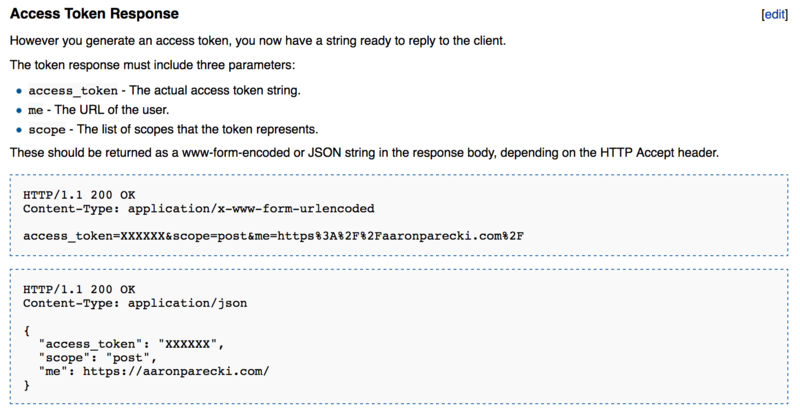 Got frustated trying to find OAuth2 docs that made sense to me; found @aaronpk's https://www.oauth.com/ and now it's clear! Thanks, Aaron! @bryanstearns Awesome! Glad it's been helpful! "OAuth 2.0 is a specification outlined in RFC 6749 that allows third-party services to make requests on behalf of a user without accessing passwords and other sensitive information. If you are unfamiliar with OAuth 2.0, check out Aaron Parecki's "OAuth 2 Simplified"." @jaredhanson oh funny! I got token_endpoint from OpenID Connect: http://openid.net/specs/openid-connect-discovery-1_0.html#ProviderMetadata I will take a look at the OAuth 2 link rels tho.